This application note explains the concept of Adjacent Channel Leakage Ratio (ACLR) measurement on 3GPP W-CDMA signals with the spectrum analyzer FSP. Optimum operation for both the integrated bandwidth method and the new time domain method are shown via explanation of the signal behavior and the internal structure of the FSP. 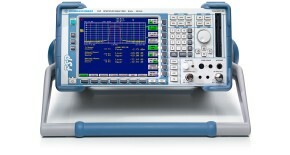 With the time domain method the spectrum analyzer family FSP provides a new approach featuring a very short measurement time compared to the integrated bandwidth method.